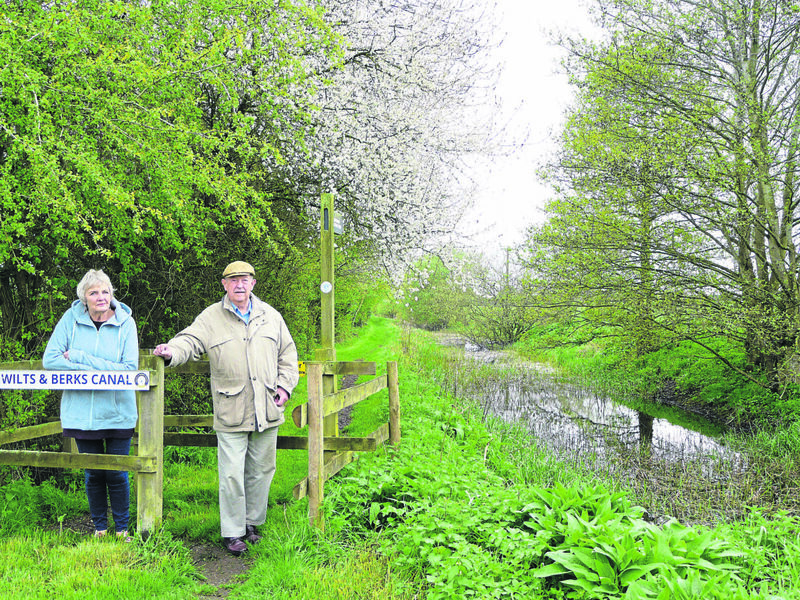 Elizabeth Rogers talks to Alan Norris, founding chairman of the West Vale branch of the Wilts & Berks Canal Trust. 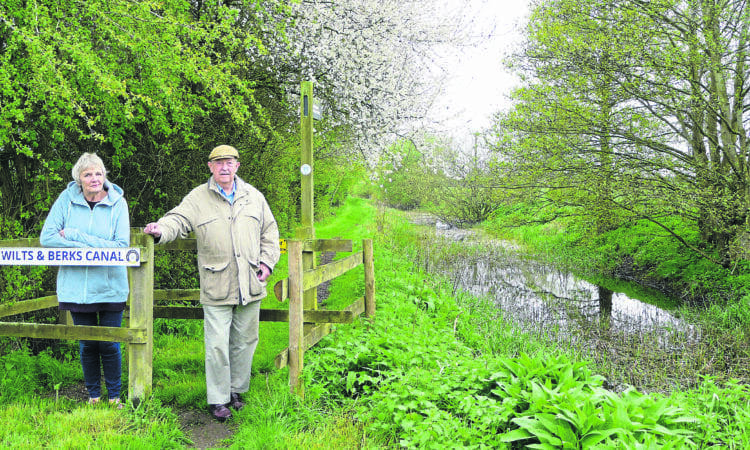 BACK in 1991 Alan Norris became the first chairman of the newly formed West Vale branch of the Wilts & Berks Canal Trust. Since then he and his fellow members, who include his wife Jean (pictured below) as membership secretary, have created major changes in the appearance of the canal and its surroundings as it passes through their home village of Shrivenham, a few miles from Swindon. Now vice-chairman and volunteering co-ordinator, Alan traces how this very active branch came into existence: “Within 100 yards of our house in Station Lane I saw a group of people working on the arch bridge over the canal,” he remembers. “They were cleaning out the canal and were finding things, like the shell of a Mini car, engine, everything you can think of. It filled several skips. 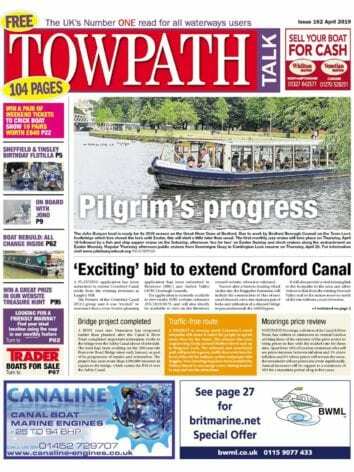 “Among the canal trust’s team working there was John Allen, who later became Mayor of Wootton Bassett. He asked if we could get local people involved in looking after the canal section that runs through the village. He said ‘see what you can do to get something going’. So I put a notice in our village magazine, the Shrivenham News. Alan continued: “I thought we might get one or two people interested, but we got more than 30. For many years we have had a good number involved, but as people have got older we now only have about six who are able to come regularly, plus one or two others who come when they can. “We started the branch when we were in our 50s, and now we are nearly all pensioners. We only have one regularly active member who is not retired. We still meet every Wednesday morning and set to work for three hours, unless the weather is too bad. We stay longer if there is a lot to do, sometimes we’re also there on Saturdays and Sundays. Regular work includes keeping the towpath in good condition and looking after the canalside park which opened 20 years ago in 1998. The branch was instrumental in providing this park, which has created a recreation area for the village. 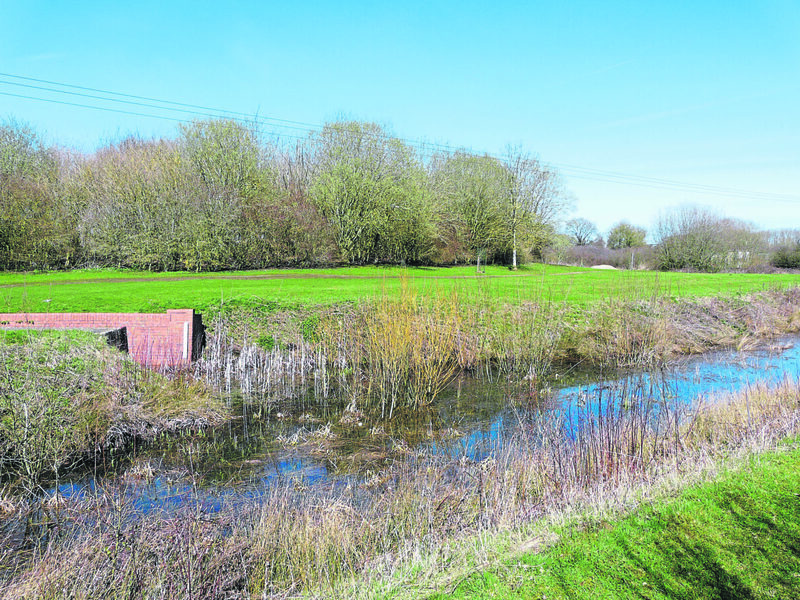 It was able to buy a four-acre field at agricultural rates, and following the granting of planning permission for the use as a park by the Vale of White Horse District Council, the district council itself undertook the necessary ground preparation. There was a donation of 1800 trees for planting from the Community Forest. Grass cutting there nowadays is carried out by Shrivenham Parish Council contractors. “It used to take two of us to keep it cut and tidy,” Alan said. The major project of the branch has been the restoration of Stepping Stones Bridge (above), off Stepping Stones Lane, some 300 yards from the arch bridge in Station Road. This had been demolished in the 1950s and replaced by a type of causeway, built up of earth and rubble, which enabled horses and tractors to cross the canal bed. West Vale Branch has been responsible for the now almost complete restoration of the bridge. 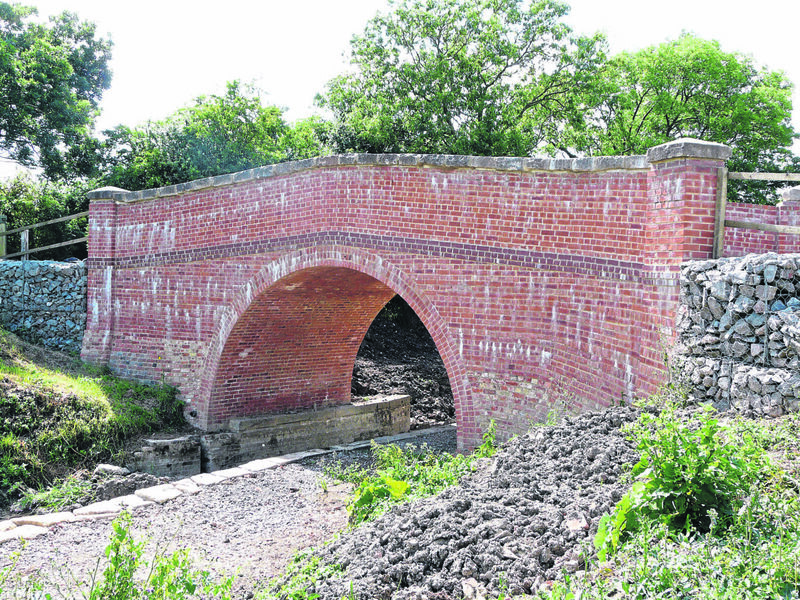 The first stages were negotiations with neighbouring landowners to enable access and then the process of a complete rebuild could begin using the same foundations which, according to Alan, had been buried but were still in good condition. The local group has had assistance in the reconstruction works from many sources. The Waterways Recovery Group of the Inland Waterways Association has been instrumental in supplying manpower, with teams spending a week, even fortnights at a time with the local volunteers. Local employees have also added to the number of man hours available by supplying work parties as part of their policy of community involvement. Among these have been the Nationwide Building Society, which has its national headquarters in Swindon, the former Railtrack and British Telecom and, more locally, staff from the Defence Academy in Shrivenham. Although the major objective has been achieved with the restoration of Stepping Stones Bridge, it still requires a few finishing touches and the canal beneath will then be dredged. There is always plenty of work to be done at the weekly sessions when the local members meet. Although graffiti has not been a problem, continued discarding of litter is an ongoing situation, with local people seemingly seeing the canal as an all-too-convenient waste disposal destination. But the West Vale branch remains constant in its efforts, continuing its valuable contribution to the work of the Wilts & Berks Canal Trust.